The collective voice of our cultural paradigm can be heard from sea to shining sea. We are reminded that hate is never the answer, that bullying is prevalent and tragic and that our differences should be celebrated rather than used for purposes of division or judgement. The most well-known passage of scripture at one time was John 3:16, “For God so loved the world that He gave His one and only begotten son that whosoever believes in Him should not perish but have everlasting life”. Now it is, “Judge not lest ye be judged”. I would list the reference, but let’s be honest, the majority of those who quote this scripture often, don’t know where to find it in the Bible, just that it’s in there somewhere. 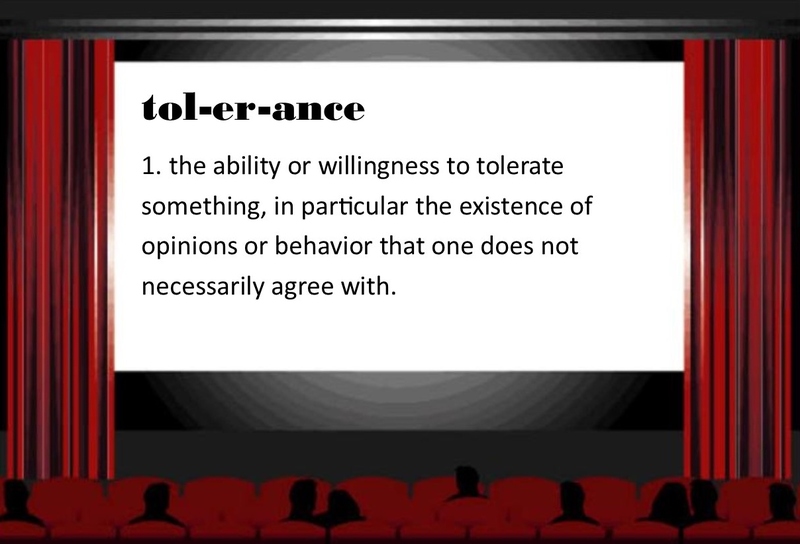 Tolerance as defined by Mr. Webster is: “willingness to accept feelings, habits, or beliefs that are different from your own : the ability to accept, experience, or survive something harmful or unpleasant”. This doesn’t make me feel warm and fuzzy. Perhaps tolerance at its core is selfish. We really desire others to tolerate us regardless of whether we afford others the same courtesy. We fight for tolerance in certain areas, but don’t want to think about it in other areas that don’t matter to us. But the word “tolerance” inherently has that connotation. “I don’t like you but I have to tolerate you so just do your thing as far away from me as possible.” Why thank you dear world. I feel the love now. I’ve made a decision that I will not teach my children “tolerance”. Instead, I will teach them to love. Love isn’t restricted by agreeing with another. Love isn’t impacted by differences, disabilities or lifestyles. Jesus never asked us to tolerate our brother but he commanded us to love one another. In love, we assist those with disabilities rather than worrying whether they will ruin our time at the movies. In love, we reach across religious lines and offer friendship and respect to those who believe differently than us. Rather than putting up with those around us, maybe we should try giving of ourselves. I choose to teach my children to love others even when they seem unloveable. After all, isn’t that what Jesus did for us? I’ve always had the same feelings about ‘tolerance’…more like having to put up with someone rather than trying to understand them and love them anyway. Great post! Why did this mother CHOOSE to take him to a movie showing that she knew would be crowded? Why not choose the showing at noon when no one else goes, that way there would not be a crowd to disturb? If the previews were the only issue, why did she not send the other adult with her on into the theater to save their seats, then take her son in as the movie was starting? Something about this entire story does not ring true. There is more to what happened than what she is willing to admit. You want to claim “love” and “tolerance”, yet neither you nor this mother showed either for the room full of people who spent their hard earned money on expensive movie tickets, expecting a lovely evening relaxing. Parents with babies and toddlers know better than to take them to popular movie time. They wait and take them to the least popular times, or the times specifically reserved for “noisy” audiences? You people want the world to cater to your every need but we are tired of your demands. If you want to take a person who you know is going to scream, yell, and cause a disturbance to see a movie in a theater you know will be packed, then be prepared for those people to voice their opinions. Being special needs does NOT make you special! I agree that parents should show respect when bringing their children to certain places. I have a one year old and haven’t been to a movie in a year. It’s a two-way street. However, I do, as a parent, expect to be given a little grace when my little one is acting a little out of character in a restaurant or church service. I will take him out if he’s being disruptive just as this mother did in the theatre, but cheering and behaving rudely toward a mother who’s doing the best she can is a little extreme don’t you think. Regardless, it’s not really the point I’m trying to make. The point is, the contemporary message to “tolerate” others isn’t the best way to teach our children respect for others. I would prefer that we teach love and respect for fellow humans instead of teaching our offspring to “tolerate” the annoying masses that get in their way. Wouldn’t it make the world a little better?